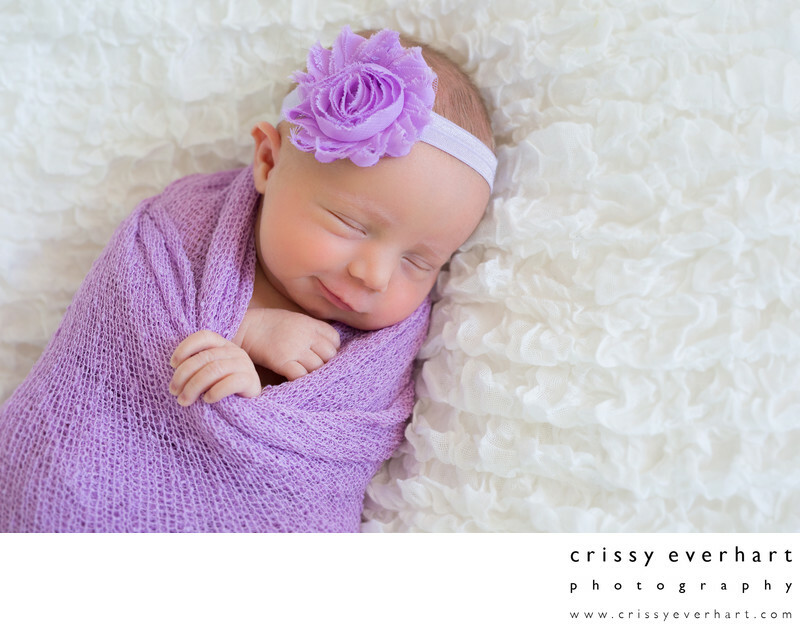 Little girl in purple swaddle with purple bow, smiling in her sleep. She lays on a white textured blanket, and her hands pop out of the top of her swaddle. Newborn photographer - Infants born at Paoli Memorial Hospital and Bryn Mawr Birth Center.